The SCLA Friend of Libraries Award recognizes outstanding service to a library or libraries, which has furthered the expansion of library services in South Carolina. The SCLA Hall of Fame recognizes outstanding individuals with a long-standing, distinguished record of professional achievements and accomplishments. This Award is open to both librarians and paraprofessionals who have made a substantial, lasting impact through their work within South Carolina libraries. Multiple nominees may be inducted each year if appropriate. The SCLA Innovation Award recognizes a team, department, library branch, or other collaborative effort using innovative practices in service to their community. This Award highlights creative approaches for impacting change, problem-solving with practical results, and/or engaging new audiences. Winner(s) will be expected to present a public program or webinar for SCLA sometime in the following year. - Nominees must be current members of SCLA. Individuals may nominate themselves or be nominated by others. The SCLA Intellectual Freedom Award recognizes members of our community who have contributed to an awareness of intellectual freedom and censorship issues in South Carolina libraries. The award may be given to any member of the community, librarian or not, who has contributed to upholding the principles of intellectual freedom. - Demonstration of related advocacy, programs, or service -- may be for a single event or for an ongoing project, educational workshop, or promotion. It also may be related to legislative support on the local, state, or national level. The SCLA New Professional Award recognizes the achievements of library workers who are already making significant contributions to the field early in their careers, demonstrating leadership in innovative programs or services, contributing to their library’s impact on its community, and/or exceeding the limits of their job description. The SCLA Outstanding Librarian Award recognizes and honors a mid-career librarian who has initiated or developed an imaginative or creative program, service, or work of enduring value, for the effective use of or increased interest in libraries or a particular library. Such contributions may include excellence in leadership, significant professional writing, instrumental role in building programs, promotion of the profession through teaching or influence, etc. - The award will recognize contributions made within the five years preceding January 1 of the award year. The SCLA Outstanding Paraprofessional Award is given to recognize the contribution and excellence of a library support staff who engages in library operations at all levels, promotes and supports the Paraprofessional Roundtable, and advances and strengthens the image of paraprofessionals. - Nominees must be current members of SCLA (membership in the Paraprofessional Roundtable is optional). - Individuals may nominate themselves or be nominated by others. 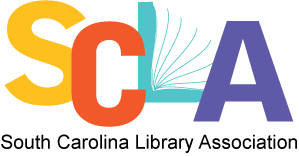 The SCLA Student Award recognizes a student member who demonstrates dedication to the profession, is actively engaged in professional development, and is making important or innovative contributions to the field of Librarianship during their course of study.